Video library transcription is complete! After several months of hard work, our complete 530+ video library is completely transcribed. This is a milestone for us, but what does it mean for you? 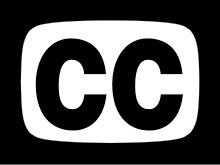 If you're deaf or hard of hearing, closed captioning is available on every video. Our 'transcription view', which has become an essential tool for many members for navigating and scanning videos, now works with every video in the library. The spoken text in every video is now searchable. When clicked, a search result will take you to the exact place in the video where the text is spoken. For those of you who haven't used the transcription view (available only to members), it's a fantastic way to read through the text of a video as you watch it. This means if you're not sure about a spoken phrase, you can cross-reference the text. You can also click on any point in the text to jump to that point in the video. If you're tired of listening to video, you can pause and click through different points of the transcription to load up screenshots. We're very excited to be fully accessible to the hard of hearing members of our community, and are committed to continuing this effort as new videos are released. After the success of our Mentored Training at the Bay Area Drupal Camp a month ago, several individuals have stepped up to help organized mentored trainings across the US. I'm looking forward to seeing this number grow. The trainings are currently in planning phase, but if you're interested in attending or mentoring, please either post to the user group or contact us for more information. Come see us at upcoming camps! This last weekend I attended the fantastic DrupalCamp Phoenix in Arizona. The folks down were incredibly friendly, and I met some great people. For those of you already setting up your calendars for next year, definitely leave a space open for Phoenix. This next week we're going to be at DrupalCamp Austin, so keep an eye out and come say hi. In December we'll be attending Drupal on the Bayou, which sounds like it's shaping up to be a great event. Last week we explored how to manage a remote Git repository and push changes from our local environment up to our production site. This week things get even more fun as we look at how to integrate other team members into the development process. The last (FREE) video on working with a scalable branching model will also show you how to manage branches in a sane and sustainable way, regardless of the size of your project. Eventually, you will run into a situation where Git won't be able to figure out how to merge two changes. We'll walk you through why this happens and how to fix it. We've already covered creating branches, but here we show you how to add a new branch locally and push it to a central remote repository to share with other environments. In this basic branching model, we show one technique for creating a predictable release structure to use when pushing changes in batches to a production site. So far we've been exploring how to work on a Git repository alone, but in this video we demonstrate how to use the same tools we've been using to track a repository remotely to bring other team members into the equation. In this free (but information packed) video, we take our develop-master branch workflow and expand it to include several branch tracks in a system commonly called "Gitflow". This system, while it looks kind of crazy as a chart, takes the guesswork out of branch organization and lays down a set of sustainable rules for a project of any complexity. Mentored Trainings, Keynotes and Kickstarters! Captioning complete for "Build Your First Drupal 7 Web Site"